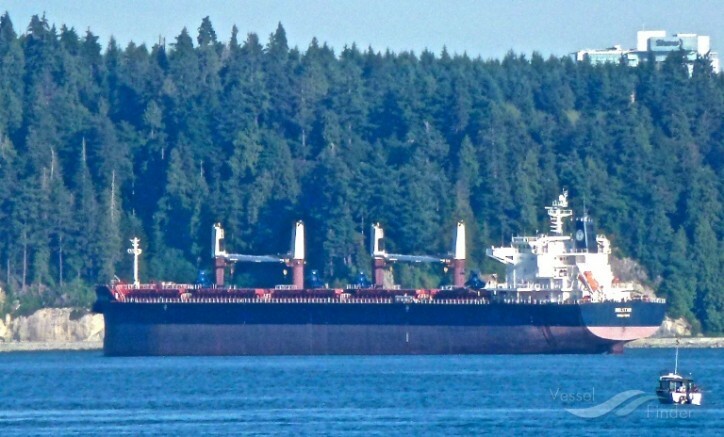 Belships ASA (OSE: BEL) has entered into an agreement to acquire a 58,700 dwt bulk carrier from Wenaas Shipping AS. The vessel was built at Tsuneishi Heavy Industries (Cebu), Inc. in the Philippines in 2008. The agreed purchase price is USD 13.0 million, of which half will be paid in cash. The remaining consideration will be settled through a proposed issue of 8,060,650 new Belships shares to the seller of the vessel. The agreed share price in the transaction is NOK 7.00 per share. Belships expects the cash payment to be fully financed within the previously announced financing package (see stock exchange release 14 March, 2019). Hence, the vessel purchase is not expected to significantly influence the Group's cash holdings. Delivery of the acquired vessel is expected in the second quarter 2019. Following the transaction, the Belships fleet will count 16 supramax/ultramax bulk carriers. Furthermore, the Group will take delivery of a newbuilding in the first half of 2020. Belships strategy going forward is to grow accretively as a fully integrated shipowner and operator of geared bulk carriers. The proposed share issue will, in accordance with the Group's shareholder strategy, expand Belships' shareholder base and improve share liquidity.